What Kind of Travel Money Should I Bring to the UK? What's the Best Way to Bring Spending Money to the UK? The pound Sterling (£), sometimes just called "Sterling", is the official currency of the UK. You can change your money into pounds in different ways, but you can't actually spend your own national currency, not even Euros, without exchanging it first. As soon as you start planning your trip, start thinking about how you'll handle your spending money in the UK. Leave yourself enough time to consider the convenience, security and value of various options and to open new bank or credit card accounts if necessary. These are, hands down, the cheapest and most convenient way to pay for things and to get cash in the UK as long as you use them correctly. Consider the pros and cons. Credit card companies apply a wholesale/interbank exchange rate in effect when your payment is processed. The rate will go up and down but it will always be a commercial rate, available to banks and large organizations - much better than the retail currency exchange rates available over the counter to consumers. So you get more for your money. Most card companies do not add additional transaction fees on purchases of goods (though they do when you buy cash). If you pay your credit card bills before interest is added on, or make sure you have enough money in your debit account to cover your spending, you won't be subject to any extra charges. They're widely accepted - You can pay for just about anything with a debit card in the UK, from a carton of milk and the day's newspapers or beer in a pub, to large expensive goods. In the UK, people can even pay their taxes and electricity bills with a debit card. Cash machines, or ATMs are everywhere. Most village high streets will have a selection of automated teller machines. They're available at petrol (gas) stations, in cinemas, at banks and in some shops. This makes getting some cash at any hour of day or night very easy. Some cards are not recognized or widely accepted in the UK. You may have difficulty using Diners Club and Discover cards. American Express cards are sometimes refused. Stick with the big two - VISA and MasterCharge - and you shouldn't have any problems. Some merchants may require a minimum purchase to accept a credit card. This is especially true in small, local Mom and Pop stores. Bank charges may apply. Bank, building society and post office cash machines in the UK (which is most of them) do not apply an extra charge or commission getting cash. But your own bank or card company probably will. It's worth shopping around for the lowest currency transaction charge because this varies from card to card and between issuing banks. You might be charged anywhere from $1.50 to $3.00 or more per foreign currency cash transaction. A small number of cash machines do charge for withdrawals and are worth avoiding. Cash machines in small convenience stores and at some motorway rest stops may be part of commercial networks that add extra fees - a minimum of about £1.50 but sometimes a percentage of your transaction. Try to avoid using these machines except in an emergency. Instead look for ATMs associated with the UK's big banks, with building societies (like savings banks) or with leading shops (Harrods, Marks & Spencer) and supermarkets. You may need to get a new card to comply with European Chip and Pin standards (more on that below)​. One word to the wise - Use your credit card to buy things but use a debit or ATM card for getting cash from ATMs. When you use a credit card for shopping, interest is not charged until after the payment deadline (usually 30 days or the end of the month). But, when you use a credit card at a cash machine, interest starts accruing immediately. With a debit card, as long as you have money in the bank to cover your spending, no interest is charged. The UK, along with most of the rest of the world, has been using Chip and Pin cards for more than a decade. The cards have an embedded microchip and customers are issued a unique, 4-digit PIN number they have to enter in ATMs or at point of sale machines to use their cards. The USA has been the one holdout, relying instead on cards with magnetic stripes that usually require a signature. All that is finally beginning to change. 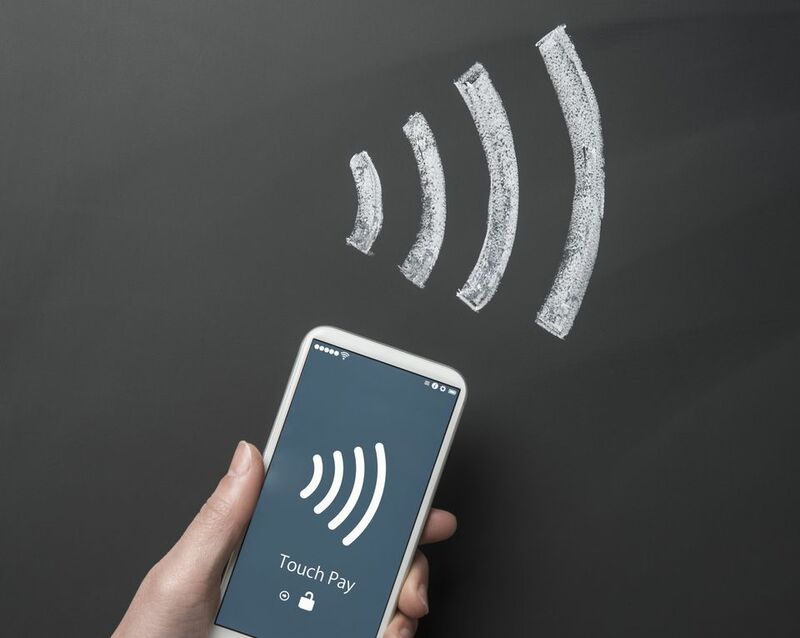 The EMV (Europay Mastercard VISA) group, who developed the global, open chip and pin smart card technology, have been trying to persuade American merchants and card issuers to change to chip and pin for a long time. In October 2015, to force the issue, they changed their rules. Since then, if a card is used fraudulently, merchants or card issuers who do not participate in the chip and pin protocol will be held liable for the cost of the fraud. Because of this, EMV chip and pin smart cards are becoming more widely available in the USA and older style cards are gradually being replaced to meet the global standard. If you already have a chip and pin smart card, you won't run into any difficulty using it where your brand of card is accepted. The card reading machines used in shops, banks and post offices will still have a magnetic stripe reader so you can swipe your card on the top or side of the device. But if your card requires a signature (either mag stripe and signature or chip and signature cards) you will have problems - especially when no human cashier is present to accept your signature. Without a chip, your card will be rejected by ticket machines (at train stations, for example) and by automated petrol (gasoline) pumps. And even with a chip, you will need a PIN number to use your card with these machines. All bank cards and credit cards have a 4-digit PIN number, even if your bank or card issuer has not given it to you. Ask for one for each of your cards. Then you'll be able to use your card in an ATM or swipe it at a point-of-sale terminal and authorise the transaction with your PIN number. Get yourself a chip-and-pin card. Most of the bigger American banks are now offering them or replacing their customers' existing chip and signature cards with chip and pin cards. If your bank does not yet have them available, open an account at a bank that can give you one. Since 2014, most debit and credit cards issued to UK consumers have a contactless payment feature. If the card has it, there is a symbol that looks like sound waves printed on the card, as pictured above. These cards can be used for small payments (in 2017 up to £30 in the UK) simply by tapping them on terminals similarly equipped. Very conveniently, these cards can be used just like Oyster Cards for access to London Underground, London buses. London Overground and Docklands Light Railway. Some mobile phone apps that display the contactless logo can also be used to pay small amounts. If you are visiting the UK from Canada, Australia or a number of European countries, you may already have one of these contactless cards and you can use them in the UK wherever the contactless symbol is displayed on the payment terminal. As of 2018, a few US banks have begun to offer contactless credit and debit cards in partnership with international card issuers. Chase, for example, is offering this form of payment to its customers as of February 2018. If you can, get your hands on one of these as its the most convenient way to pay small amounts. If you are able to use a contactless card, keep in mind though, that your transaction will still be subject to whatever foreign exchange transaction fees your bank or card issuer charges. If you have an iPhone, you may be able to use Apple Pay wherever contactless payments are accepted and for more than the £30 contactless limit. The Apple Pay UK site has a list of some of the main businesses that accept this form of payment at point of sale. Travelers' checks were once the gold standard when it came to carrying travel money. And perhaps, in some parts of the world they may still be a safe option, but they are currently the most expensive and most inconvenient option for the UK. They are very secure - As long as you keep a record of the check numbers (separate from the checks themselves), and as long as you keep track of the emergency number to call in the country you are visiting, you can get lost or stolen checks replaced quickly, at no extra cost. They are available in several currencies including dollars, Euros and pounds sterling. They are expensive, possibly the most expensive way to take money abroad in fact. First off, you will usually be charged a fee of one per cent of the total value of the checks you buy. If you buy them in a foreign currency - in other words you spend dollars to buy travelers checks in pounds sterling - the seller's retail exchange rate will apply and you may also pay a commission for the currency conversion. If you buy them in dollars, planning to exchange them for local currency when you arrive, you will still be stuck with accepting a retail exchange rate (usually much less advantageous than the interbank rate for the day) and probably a foreign currency commission too. They are very inconvenient. In the UK, with the exception of tourist magnets like Harrods, and very expensive hotels, almost none of the shops, restaurants and hotels accept them. In fact, very few stores in the UK accept any kind of check at all. So you will have to seek out bureaux de changes, banks and post offices - during weekday working hours, to cash them. Bureau de change outlets, the European name for commercial currency exchanges, are profit making businesses and usually offer the worst exchange rates. And banks will only cash travelers' checks if they have what is known as a correspondent relationship with the bank that issued them. One way around the chip-and-pin issue is to buy yourself a prepaid currency card, such as the Travelex Cash Passport or the Virgin Money Prepaid MasterCard. These are cards you prepay in either your own currency or the currency you want to spend. Some can be charged up with several currencies at once. The cards are associated with one of the major international card organizations - usually VISA or MasterCharge, are embedded with chip-and-pin technology and can be used wherever those credit cards are normally accepted. Easier to control your spending. You charge up the card with exactly what you want to spend and then use it up like cash. Security is assured as long as you protect your PIN number. Some can only be charged up with additional funds in person in a branch of the business that sold it to you, in your own country. Hidden charges - if you leave a balance on the card, planning to use it for another trip abroad or other special purchases, you may find that balance nibbled away by monthly "inactivity" charges. Read the fine print. ​And one last warning about prepaid cards. Whatever you do, DO NOT USE these cards to guarantee your hotel or rental car bill or to buy petrol from automated pumps. In these situations, an amount - which can be £200 or £300 - will be put on hold to guarantee that you will pay your bill. The problem is, even if you don't spend that much money, it can take as long as 30 days for those funds to be released. Meanwhile, you can't uses the money you've put on the card for the rest of your trip. Use your credit card for the guarantees, then settle the bills with the prepaid card. Then, of course, there's always good old cash - or at least there used to be (see below). You'll want to have some local currency in your wallet for tips, cab fares and small purchases. How much you carry depends on your own spending habits and confidence in carrying cash. As a rule of thumb, plan on carrying about as much in pounds sterling as you might carry in your own currency when at home. There is a catch. In the UK, espcially the big cities, a small but growing number of businesses - notably cafes and bars - are refusing to accept cash and will only accept card payments. This is still pretty rare, but we were shocked in November, 2018, to offer a £10 note to pay for a coffee and croissant only to be shown a sign that said the restaurant did not accept cash. These days, an internationally accepted credit card is still the safest kind of travel money to have. London Is on Sale - How Much Can You Save? Can You Use Your Leftover Euros in Britain?